In most commercial aircraft, the engines are isolated from the rest of the wing system. Instead of being embedded in the wing or mounted more closely to that surface, they hang out from underneath the wings. This is done, in part, to try to reduce the influence in cross coupling–the cross-communication between the engine's RPM and the airflow characteristics about the airplane wing. 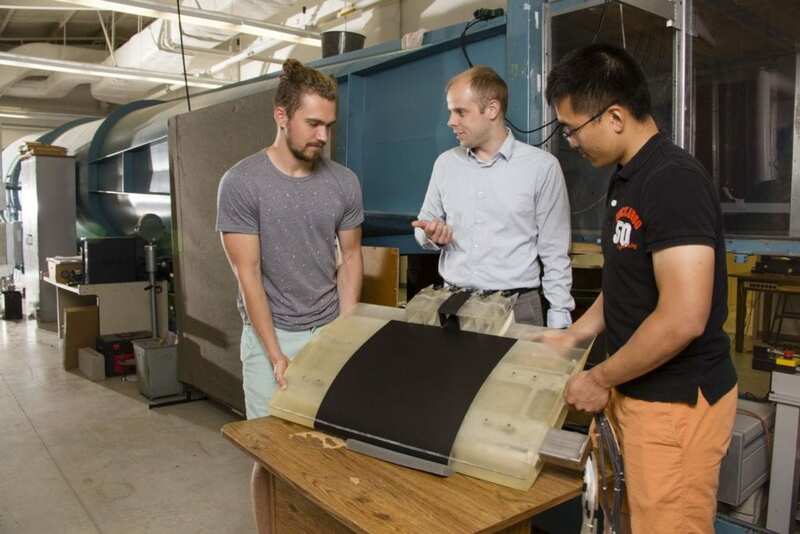 "If we allow those two systems to talk to each other, there is a lot of increased complexity in the flow field over the wing and into the propulsor–which also substantially alters the performance," said Phillip Ansell, assistant professor in the Department of Aerospace Engineering in the College of Engineering at the University of Illinois. "We've taken two subsystems – propulsion and aerodynamics–and we've said that these are not isolated subsystems. These are now one thing."